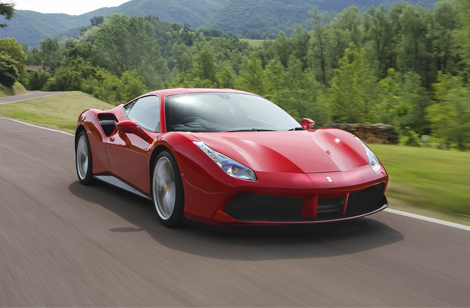 Puresport introduces you the new born in Maranello: Ferrari F488 GTB. Discover it now! 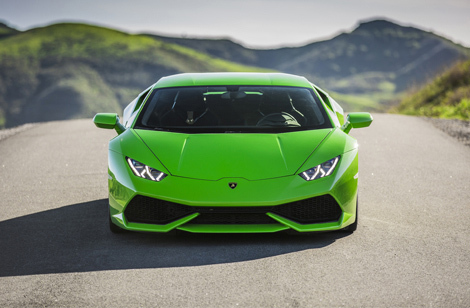 The super sportcar Lamborghini Huracàn, offers high level performances. Discover it now! Ritorna il Cavallino di Stoccarda in pista con Puresport: Porsche 911 GT3. Scoprila subito! 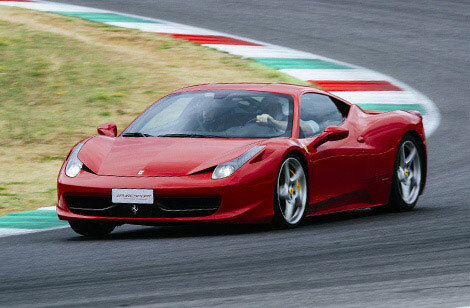 You dream becomes true: come to the track to drive a real Ferrari F458 Italia. Discover it now! 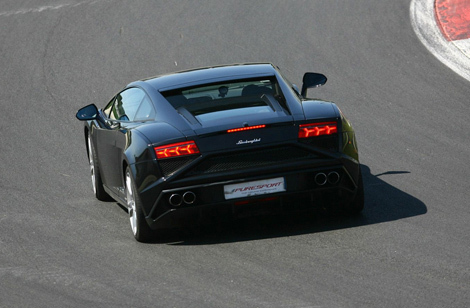 Come to the track to drive a real Supercar liek Lamborghini Gallardo. Discover it now! 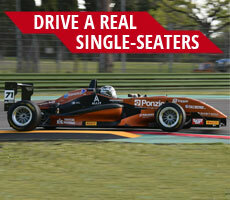 With this new format, Puresport makes it possible for it own clients to experience the thrills of the Monza racetrack in the car of their dreams. Discover the feeling of getting behind the wheel of a Ferrari F430, Ferrari 599 GTB Fiorano, Lamborghini Gallardo, Porsche 911 Turbo or Aston Martin DB9. You will have the chance to drive all of these dream Grand Touring cars or choose just one of them. Lean how to assess how and how much to brake, identify a fast and safe trajectory and how to use the accelerator in a fluid yet fast way will improve your driving style also in terms of speed, without neglecting the safety aspect. Learning about all the operations to carry out when your racing car gets to the end of the long straight stretch in Monza will allow you to make your driving style more accurate and constant lap after lap. The situation is really under control only when your mind “runs” faster than your car. A unique driving experience behind the wheel of a GT car at a special price approachable for everyone! Puresport offers you the chance of driving fast Grand Touring cars with extremely different technical characteristics: from the four-wheel drive of the Lamborghini Gallardo, to the overhang engine of the Porsche 997 TurboFerrari F430. You can experience all of this next to professional driving trainers, always ready to help you with advice and tricks to improve your sport driving technique and make you become a real Grand Touring driver. Check the programme and the pricelist. 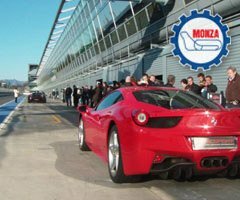 Thanks to our sports cars fleet, we are able to set up events and competitions for 10 to 100 persons per day, guaranteeing that all participants can feel the thrill of getting behind the wheel of the most fantastic and fastest Grand Touring cars. Puresport’s GT CAR PROGRAMME is the perfect solution for all those companies that wish to promote team work or reward its own clients, dealers or agents by offering them a unique driving event at an accessible cost: check out the Incentive GT Experience. The experience of driving a Grand Touring car is also an original gift idea - thrilling and at high speed! If you gain at least 6.900 points, this experience is FREE! If you gain at least 7.600 points, this experience is FREE!